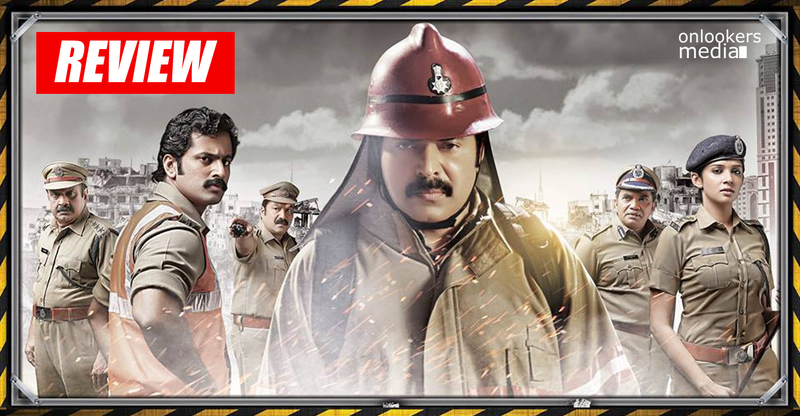 Fireman, the latest offering from mega star Mammootty and his first release in 2015 hit the screens today. The film was actually scheduled as last year’s Christmas release and then postponed to January. 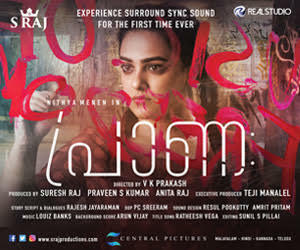 But the ‘I’ mania that happened in January caused many Malayalam films including Fireman to postpone the release dates due to the shortage of adequate number of releasing theaters. 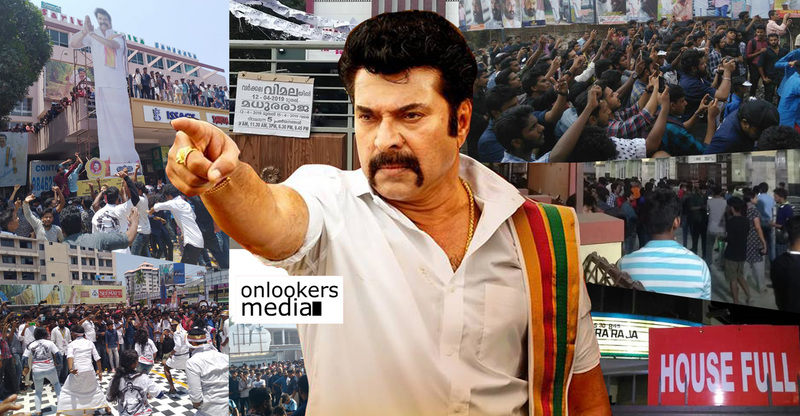 After changing the date of release a number of times, the film had hit the screens today, on 19 th February 2015 much to the delight of Mammootty’s fans who were awaiting eagerly to see their hero in the silver screen after a long gap. 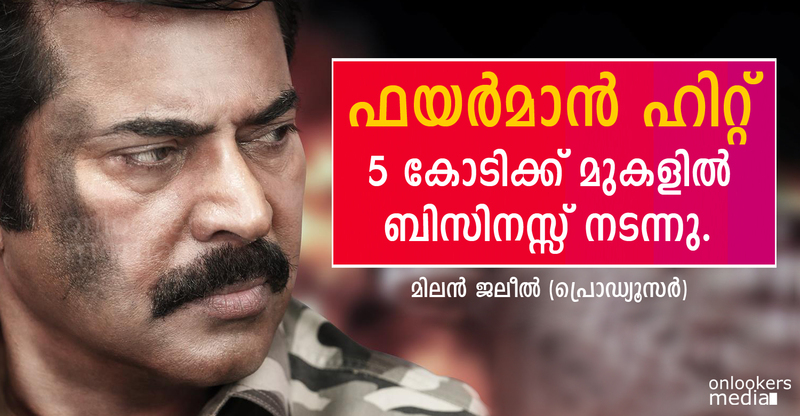 Mammukka’s last release was Varsham that has released in last year November. Fireman is Produced by Milan jaleel and distributed by Ullattil Visual Media. Fireman is directed by Deppu Karunakaran and he also had written the screenplay and dialogues of the film as well. He is also the one who wrote the story along with a newcomer. 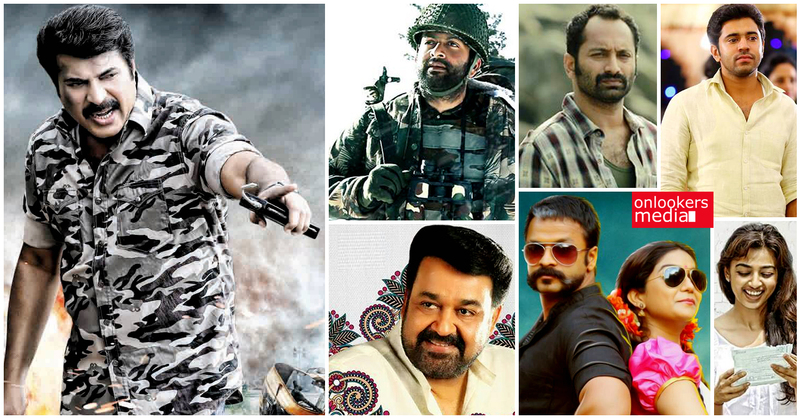 Deepu’s previous films are Winter with jayaram, Crazy Goplan with Dileep and Teja Bhai and family with Prithviraj in the lead. 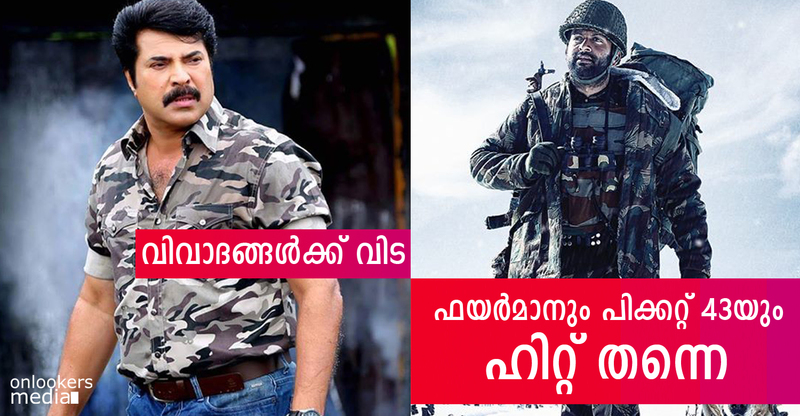 In His new film Fireman, he tells the story of a mission by a fire force team led by commanding officer Vijay played by Mammootty. An unfortunate Tanker lorry accident causes the leak of LPG gas and in a rather bizzare situation the Gas from the tanker began to spread all over the area. So the fire force team is planning an evacuation process from the area where the gas has spread and they have face great challenges for that from media, common people and from police force as well. During that evacuation process they have to come across a situation that they had no other but to evacuate a jail which is in the area which is in danger zone. But there was a great conspiracy behind it and the film tells that story of how fire force manages that situation and how they successfully completed that mission. 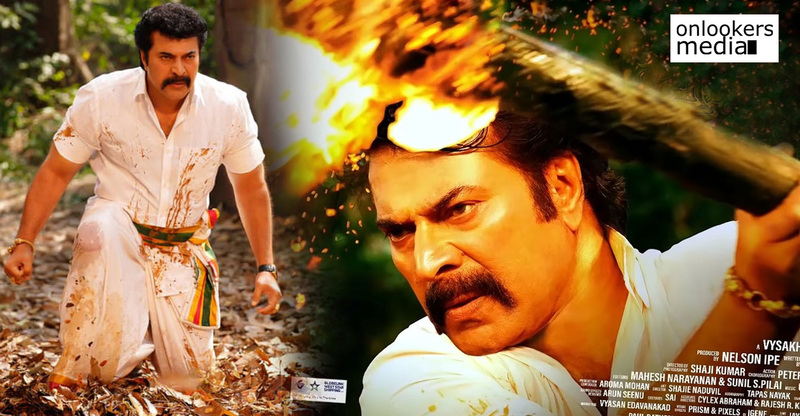 Mammootty is the backbone of this film with his power packed performance as Fireman Vijay. His dialogue delivery and screen presence was superb to say the least. Other actors like Unni mukundan, Nyla Usha, Siddique, Salim Kumar, Hareesh Peradi etc had done their part without much problems and as the film is only below 2 hours of length, it had not lagged at all. The Background scoring by Rahul Raj could have been better and he has done an OK job. The film is intended to be a tribute to all the firemen and specially to the Kerala fire force for their Commitment, dedication to their duty and the courage they shows during the crisis. The only negative one can feel in the film is that the story and screenplay has many loose ends and have no completeness. There will be a lot of questions regarding certain characters and “Why” or “How” can be raised by the spectators after seeing the film. 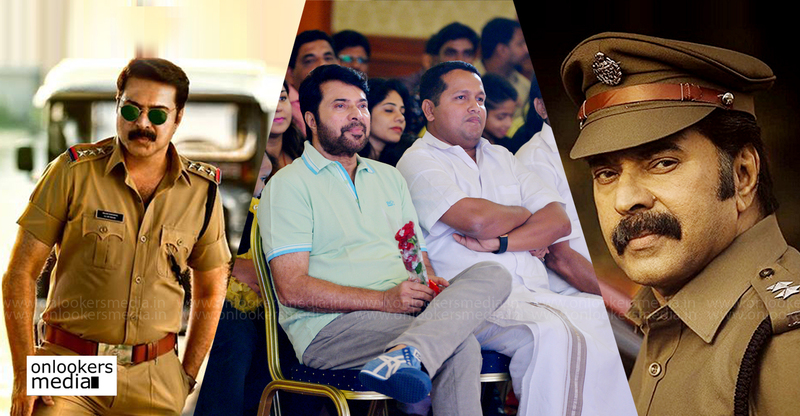 And when we considered Mammootty’s last films such as Varsham and Munnariyippu, Fireman in its class did not raised up to that level. 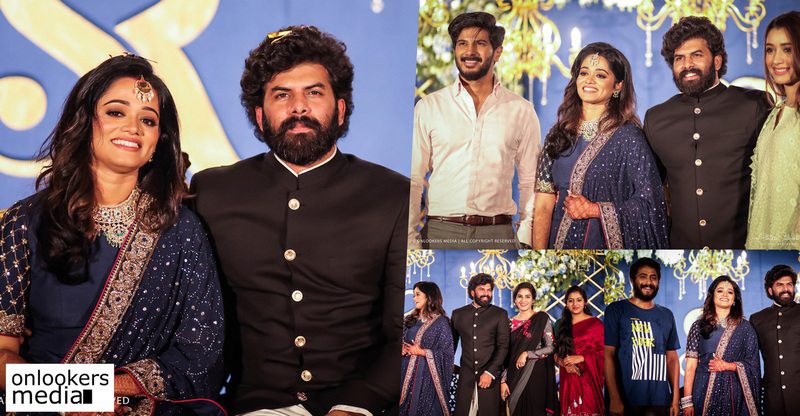 But it is a decent film from Deepu Karaunakaran and Mammootty and it will be one which will not disappoint you if you go without much expectation and if you are a die-hard Mammootty fan.